Cut faux panel or HDF cabinet doors with round over grooving bits. These bits can be used with a handheld router and template or in a CNC machine in production shops. The blades are C3 micro-grain premium carbide. Plunge cutting faux panel doors is a practical shortcut to achieving the look of raised panel doors with less effort and comparable beauty. 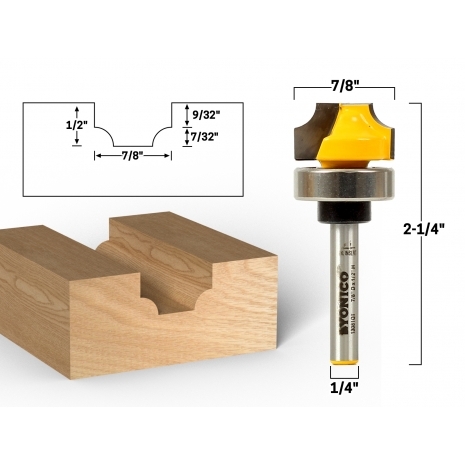 Round Over groove router bits are a popular choice for making faux panel kitchen cabinet doors. These bits can transform a flat panel into a beautiful rail and stile alternative. While often used in CNC machines, profile groove bits can also be used in a handheld router using a fairly simple perimeter jig.